Newly released details about the 2018 BookCon’s weekend author lineup shows a program geared toward YA and younger readers. BookCon—”where storytelling and pop culture collide,” according to ReedPOP’s branding—has announced its fifth annual edition’s marquis names. 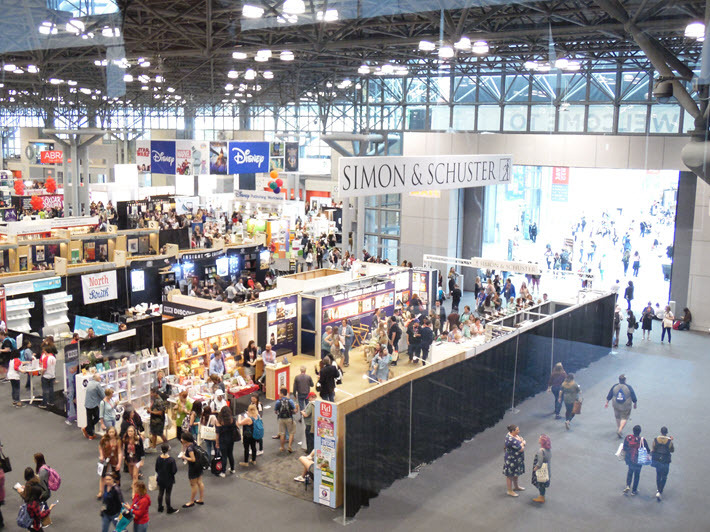 Set in 2018 on June 2 and 3, BookCon is the consumer-facing weekend event that follows the trade show, BookExpo, in New York City at the Jacob Javits Center. BookCon is also introducing four writing workshops this year, as well as writing competitions, in an apparent move to broaden their offering to aspiring writers and self-published authors. And while organizers in the past have spoken of wanting to expand its appeal to a wider age-range of consumer, these first announcements indicate that programming for BookCon 2018 is geared toward a younger audience. Tickets for BookCon 2018 are to go on sale November 15 at noon ET. Information will be here. BookCon’s show floor is expected to have more than 250 exhibitors on its show floor, with a Downtown Stage venue for presentations.